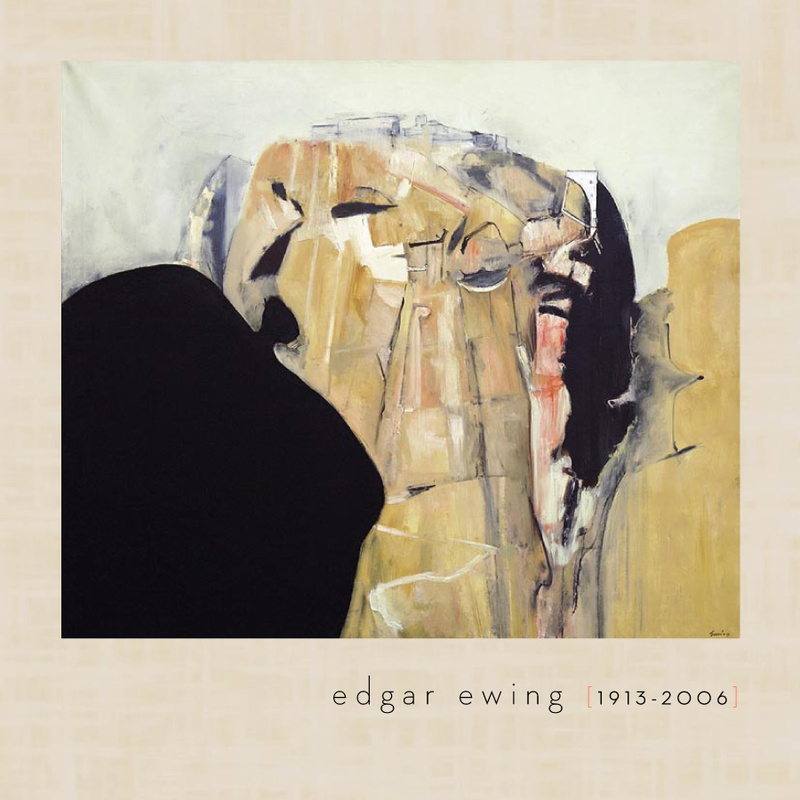 Edgar Ewing was born in Hartington, Nebraska and trained at the Art Institute of Chicago. After winning the Edward L. Ryerson Fellowship for Study and Travel in 1935, Ewing went to Europe to further his education. Two years later, he took a teaching position at his alma mater. His teaching there was interrupted in 1943 by a three year tour with the Army Corps of Engineers in the Pacific Theater. When the promising young artist returned home, he headed for Los Angeles to take a position at the University of Southern California. Except for interruptions to teach at the University of Oregon, Carnegie-Mellon University, and the American Academy in Rome, Ewing taught painting and drawing at USC for thirty-one years. As one official at USC noted, “he was like an institution.” In 1978, he retired as Professor Emeritus and moved to Athens. In 1987, the artist returned for a year to teach as a Distinguished Professor Emeritus. Ewing’s career was impressive by any standard. In addition to over thirty solo exhibitions at museums and galleries, Ewing was featured in survey shows at nearly every major American museum. These include the Corcoran Gallery of Art, the Dallas Museum of Fine Art, the Denver Art Museum, the Frye Museum in Seattle, Los Angeles County Museum of Art, the Metropolitan Museum in New York, the Nelson Gallery of Art in Kansas, the National Academy of Design, the Pennsylvania Academy of Fine Art, and the Smithsonian Institute among many others. Although productive and powerful throughout his sixty year career, the artist’s period of greatest prominence extended from the mid 1940s to the early 1970s. His output during this time is characterized by strong Post-Cubist tendencies gleaned from the Paris School. For Ewing, this meant calligraphic lines that were sensible to both biomorphic curves and angular geometry. In the application of paint, he moved easily between the soak-stain approach of painters like Helen Frankenthaler and the rich impasto of the Abstract Expressionists. Up until the early 1980s, his palette remained anchored in the Mediterranean and Southern California landscape with earth tones yielding to shocks of color. The artist often worked in series, chosing themes that allowed for wide poetic exploration. Among these, he counted over twenty series relating to Greek and Roman civilization and the culture of the Southwest United States. As a painter and a teacher, Ewing’s approach to art was noteworthy for its sophistication. He was able to push formal boundaries even as he remained firmly committed to the classical tradition. He was also a painter who never abandoned intuition to intellect. Reassessing Edgar Ewing’s impact on California art falls outside the scope of either this exhibition or its catalog. Both will have to suffice as opening statements in a lengthier dialogue about the evolution of esthetic ideas in Southern California and our region’s relevance in the national arena. The Southern California of the 1950s, in particular, represents an apex of American modernity. As such, its heroes deserve a fresh appraisal. Sullivan Goss has been active in bringing forth the luminaries of the period, and our representation of Edgar Ewing’s estate reaffirms our commitment to that project.